You are here: Home » WHO WILL WIN THE INNSRBUCK WORLD CHAMPIONSHIP? INNSBRUCK (AUSTRIA): The World Cup 2018 Austrian race presents itself tough enough to reduce the number of likely successful winners to a fewer number of contestants. It is a demanding contest, like you haven’t seen in a while, having nothing to share with the previous editions, when Peter Sagan shined. The Slovakian champion seems not to be included among the favourite ones, although he is not to be ignored, given his class. Two names earned the pole position: first, the French Julien Alaphilippe, who obtained extraordinary results in 2018 (Freccia Vallone, Classica San Sebastian, two stages during the Tour de France and the polka dot jersey, plus a series of other successes); second, the never-aging Alejandro Valverde, who is 38-years-old and still there, fighting at the highest levels. Given the recent past, Simon Yates has just won the Vuelta Espaňa, proving himself as one of the favourite ones. His victories in the one-day races aren’t of great level yet, but he is a talented boy and therefore has no obstacles on his way. At the Vuelta, all the strongest runners in the climb showed up at the start line. 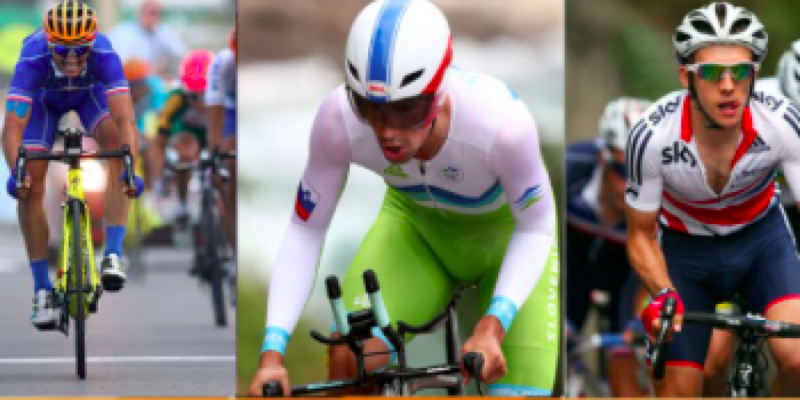 The South American Nairo Quintana, Richard Carapaz, Miguel Angel Lopez and Rigoberto Uran look particularly hardened. Concerning Italy, Vincenzo Nibali is a champion, always able to put his fantasy to good use. Gianni Moscon is the one in the most fitting form, having just proved his qualities by winning the Agostoni Cup and the Giro di Toscana. The racing circuit, along with its final 27% rise, is awaiting the aspiring champions from all around the world. The chosen ones to Spanish National Cycling: Alejandro Valverde, Enric Mas, Jonathan Castroviejo, David De la Cruz, Jesús Herrada, Ion Izagirre, Mikel Nieve e Omar Fraile. The chosen ones to French National Cycling: Julian Alaphilippe, Rudy Molard, Thibaut Pinot, Pierre Rolland, Anthony Roux, Romain Bardet e Tony Gallopin e Alexandre Geniez. The chosen ones to British National Cycling: Adam Yates, Hugh Carthy, Peter Kennaugh, Tao Geoghegan, James Knox, Ian Stannard, Connor Swift e Simon Yates. The chosen ones to Colombian National Cycling: Nairo Quintana, Miguel Angel Lopez, Rigoberto Uran, Sergio Henao, Winner Anacona, Sebastian Henao, Daniel Felipe Martinez, Rodrigo Contreas. The chosen ones to Belgian National Cycling: Greg Van Avermaet, Tiesj Benoot, Tim Wellens, Dylan Teuns, Laurens De Plus, Ben Hermans, Serge Pauwels, Xandro Meurisse.